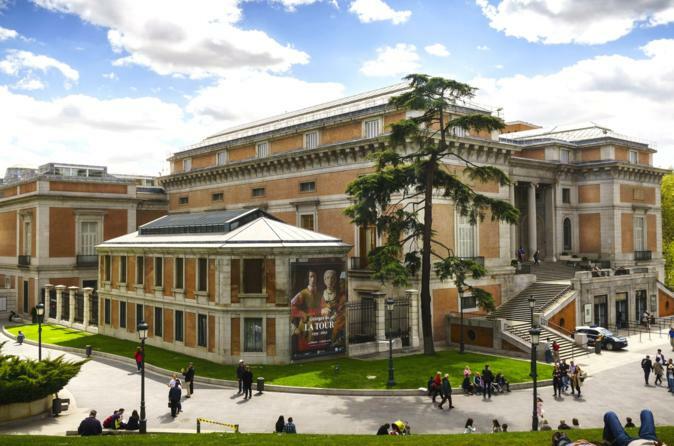 Enjoy all the beauty and history of The Prado Museum, the main Spanish national art museum. Located in central Madrid, El Prado is widely considered to have one of the world's finest collections of European art, dating from the 12th century to the early 20th century, based on the former Spanish Royal Collection, and the single best collection of Spanish art. Founded as a museum of paintings and sculpture in 1819, it also contains important collections of other types of works. Explore one of the greatest art museums in the world without having to queue and awe at the splendorous works of Francisco Goya, the single most extensively represented artist, as well as by Hieronymus Bosch, El Greco, Peter Paul Rubens, Titian, and Diego Velázquez. Let the guide take you on board our exclusive Tapas Bus, where you will be able to enjoy tapas lunch, how you want to enjoy the best views of Madrid, with a panoramic guided tour of all the key places in Madrid that you can’t miss.